Patrick is a dynamic sales professional with a 30-year track record of success in print software and workflow revenue growth in the print industry. 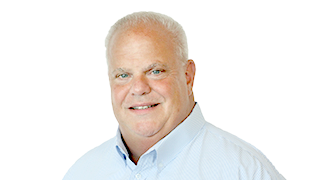 He joined EFI in 2007 as eastern regional sales manager for Americas Inkjet Sales, and rapidly rose through EFI. Morrissey became director of Inkjet Sales for the Americas in 2009 and senior director in 2011. In January 2015, he was promoted to senior director of Worldwide Inkjet Sales.Prior to joining EFI, Patrick held positions of increasing sales responsibility with Creo, a leading print software and prepress technology provider that is now part of Kodak. In 2003, he was promoted to vice president of sales, North America, at Creo, driving revenue growth and market share in a highly competitive prepress and print workflow technology segment.